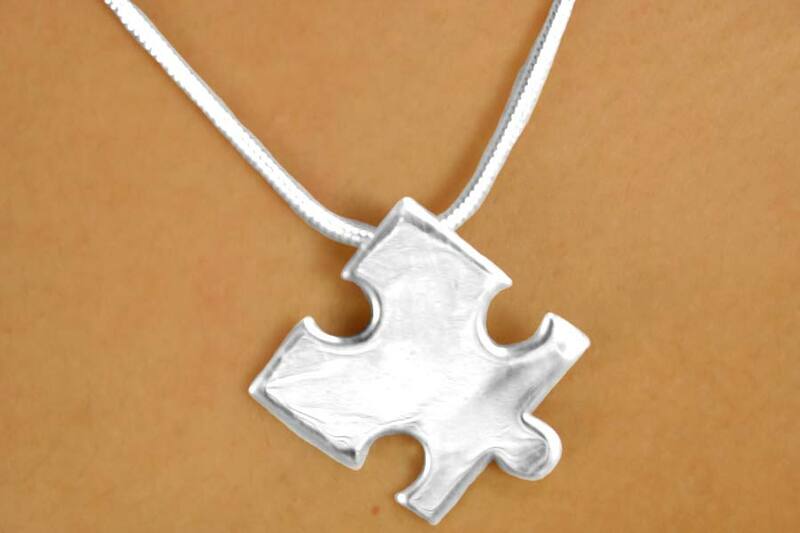 Beautiful and classic Autism Awareness Puzzle Piece Necklace. 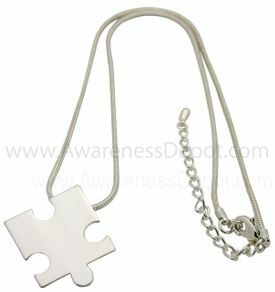 This autism awareness necklace has a silver tone puzzle piece that hangs from a snake link silver chain. Perfect To Raise Funds For Autism Awareness & Research!